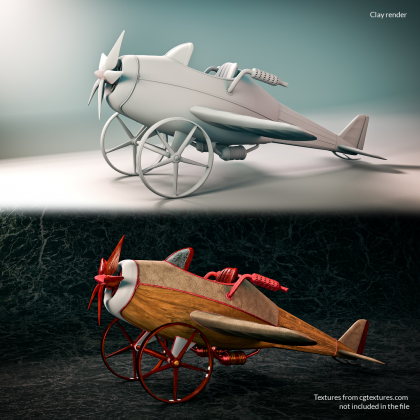 A small steampunk-style (at least a little bit) non-realistic propeller aircraft I did in a speedmodeling contest and worked on a little more afterwards. 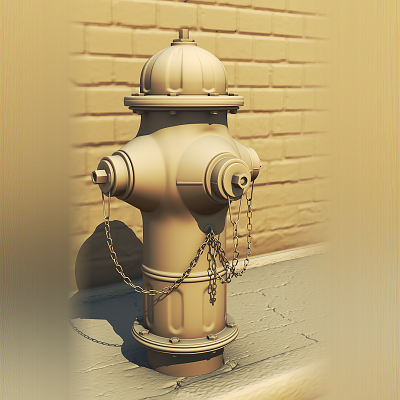 All parts that make sense to be textured are unwrapped and you should be able to guess from the file names that are missing which textures from cgtextures.com you need. For licensing reasons, however, no textures are included. 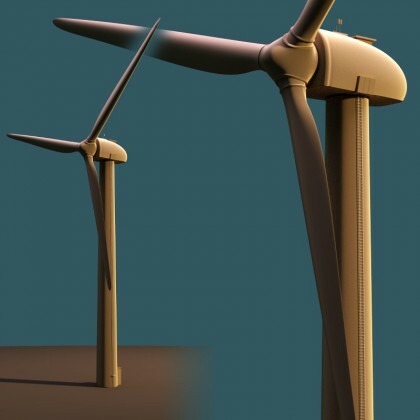 A very simple model of a wind turbine, done in 45 Minutes Speedmodeling. Click on the images to get to the respective download page.